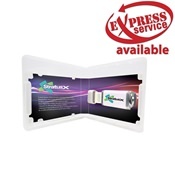 Inspired by DVD cases, designed for flash drives! A Custom Flash Pac USB case lets you make the most of what you want to say. 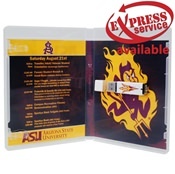 Take advantage of customizing entrapments and inserts in full color while your USB is firmly anchored in place. Ideal for marketing!